China said Wednesday it would further open its financial markets in the latest apparent attempt to cool economic tensions with the United States, as IMF chief Christine Lagarde warned the world trade system was in danger of being “torn apart” by protectionism. China’s securities regulator said foreign investors would be able to buy more Chinese stocks through existing programmes linking Hong Kong’s bourse with mainland exchanges, and that it will also “strive” to establish a similar link between Shanghai and London this year. Central Bank Governor Yi Gang, speaking at the Boao Forum for Asia on the southern Chinese resort island of Hainan, also said Beijing would fast-track previously announced plans to remove limits on foreign shareholdings in Chinese financial institutions. Foreign firms will be allowed to own as much as 51 percent of joint ventures in the securities, funds and futures industries, up from the current 49 percent. All limits are to be removed in three years, the government had said previously. Foreign ownership restrictions in Chinese banks and financial asset management firms will also be removed, it was announced at Boao. The foreign-ownership reforms were first announced in November during a state visit by US President Donald Trump, but Wednesday’s announcements appeared to set a firmer timetable. Yi was quoted as saying implementation would commence “in the coming months”. The latest promises came a day after President Xi Jinping pledged at the same forum to lower car tariffs and take other steps to open China’s economy “wider and wider”. 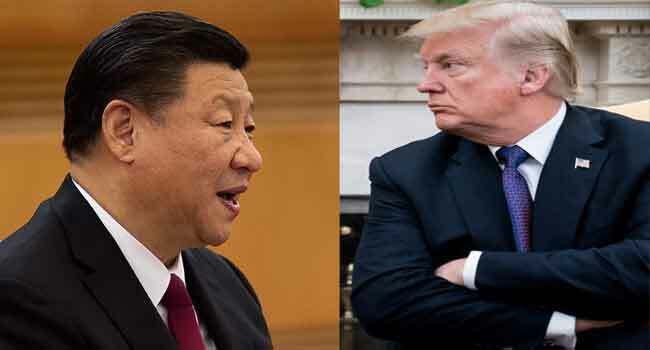 Xi’s comments addressed major US complaints in their simmering trade row and triggered a rebound in world stock markets that had earlier quaked as the planet’s two largest economies traded threats of retaliatory import tariffs. He doubled down on Wednesday, saying China would not swerve from reform and calling on trading partners “to board the express train of China’s economy”, according to the state-run Xinhua news agency. Despite the positive signals, Lagarde warned during a speech in Hong Kong on Wednesday that the world’s rules-based trade system was under threat from rising protectionist sentiment. “The multilateral trade system has transformed our world over the past generation… But that system of rules and shared responsibility is now in danger of being torn apart. This would be an inexcusable, collective policy failure,” she said. Both Yi and the China Securities Regulatory Commission said the allowable daily two-way trading volume between Hong Kong and mainland China’s two exchanges would each be increased fourfold to 94 billion yuan ($15 billion), effective May 1. A Hong Kong-Shanghai trading connection was established in 2014, and a similar one between Hong Kong and China’s second exchange in Shenzhen two years later, giving foreigners greater access to Chinese stocks via Hong Kong, and vice versa. A proposed London-Shanghai link was first disclosed in 2015 but no firm timetable had been set. The US and the European Union have long complained about market access in a host of industries, with foreign firms unable to take controlling stakes in Chinese firms. In the tightly-controlled banking sector, for example, overseas companies currently cannot hold more than 25 percent of a lender’s capital, making it difficult for them to play a major role in the domestic market. Analysts have previously downplayed such reform promises, saying they are being made now that Chinese enterprises have a firm hold on domestic markets. Trump, however, on Tuesday praised Xi’s “kind words” on reform and pledged to cooperate with China toward “great progress” in resolving trade differences.